The key to safe diving is the reliability of our equipment under the water. As we dive frequently ourselves, we do understand the importance of reliability of the equipment we use, especially when the surface is really far and it is impossible to emerge right away. Our service is intended to provide professional repairs and yearly maintenance check-ups of the equipment you use. We provide the service of diving equipment of basically all diving brands available on the market. 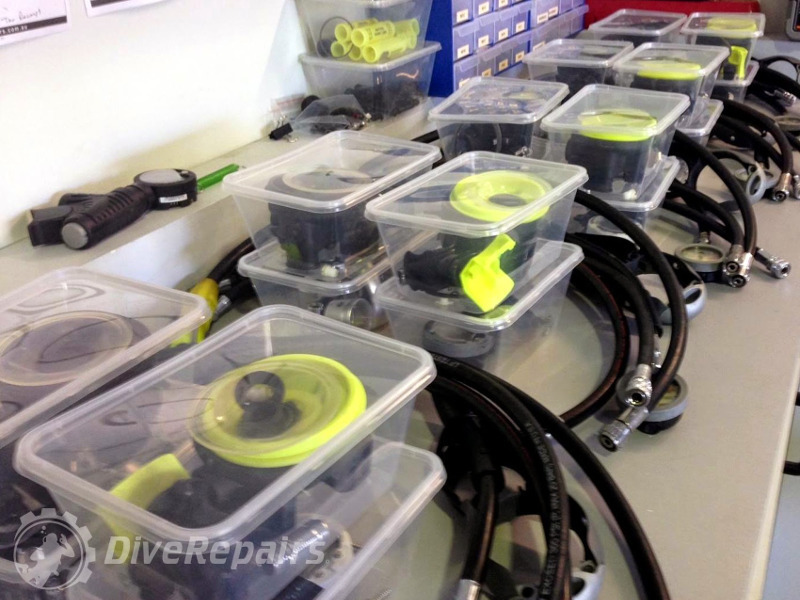 We assure particular care to provide repair and maintenance check-ups (warranty and non-warranty) of rebreathers, buoyancy compensators, computers, diving cylinders and valves as well as small repairs of drysuits. Our service is authorized by following manufacturers: Aqualung, Scubatech, Sherwood, Mares, Posejdon, but we provide repairs and check-ups of other brands, as well as older models, that are no longer manufactured. 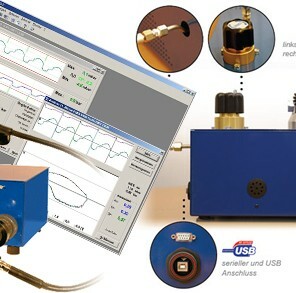 To make sure serviced regulators are working correctly, their work performance should be checked on a specially prepared work station simulating real breathing resistance. As one of only few companies We do have such artificial lung ( made by German company Pressure Guard ). It allows us to measure work parameters/performance, efficiency and resistance of serviced breathing apparathus and to compare them to manufacturer safety regulations. 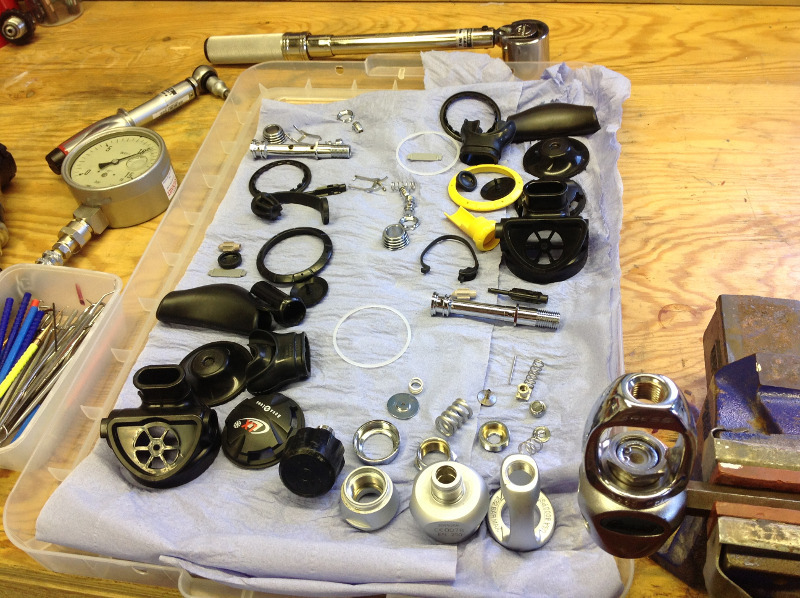 Only then we can be sure that our scuba regulator is fully functional and reliable. After the service, every customer receives certification of such examination ( witch also works as a guarantee ). Our device is CE approved. 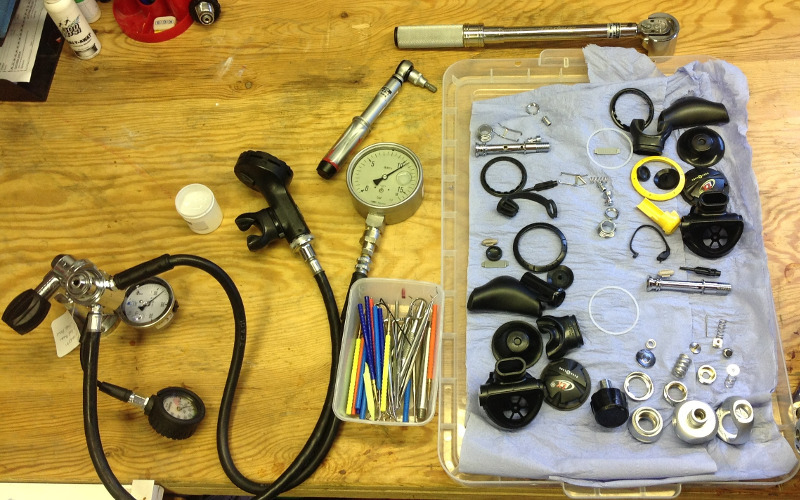 Our service also specialize in oxygen celaning of scuba equipment ( cylinders, valves, breathing regulators ).